Marvel Studios has dropped an Avengers: Endgame TV spot in honor of today's big game. 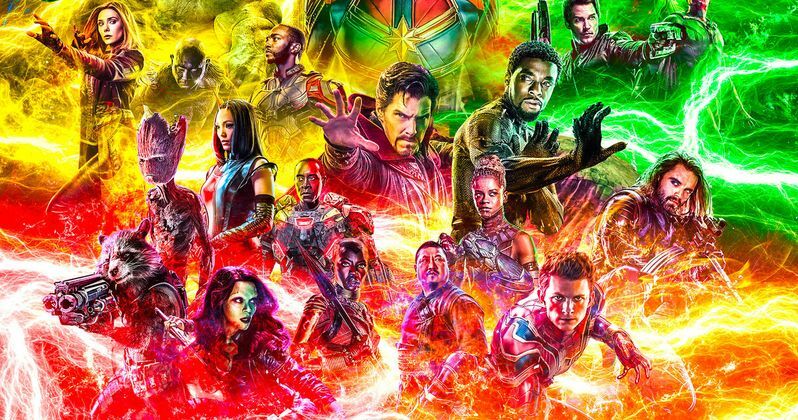 Chicken wings are being devoured, dogs are running away from shouting adults, and beers are being chugged, but Marvel Cinematic Universe fans are more than likely running each frame of the new Avengers footage back and forth, looking for any clues as to how this is all going to play out in the end. Where's the time travel? Where's the Quantum Realm? Where's Spider-Man, we've already seen him in the trailer for Spider-Man: Far From Home, so where is he? As with just about anything that Marvel Studios does, we're all left with something that looks super cool, but we're left completely in the dark at the same time after watching this Super Bowl teaser. When it comes to teasing, there really isn't anyone better, except maybe Lucasfilm or possibly even Netflix. We've been waiting since December to see more footage for Avengers: Endgame, which arguably, isn't very long at all. But, the studio seems to be in the giving mood over the past several months. Avengers: Endgame has a lot of explaining to do, and many are hoping that Captain Marvel, which hits theaters early next month, will help to shed some light on what we're about to see. Endgame is going to end Phase 4 of the MCU, which will lead to Carol Danvers taking on a much larger role for the future. But, this movie is the culmination of over 10 years-worth of hard work and devotion by the cast and crew of the MCU. The Russo Brothers have been working pretty much non-stop to deliver the goods with Infinity War and Avengers: Endgame. Avengers: Endgame and Infinity War screenwriters Christopher Markus and Stephen McFeely promise that MCU fans have no idea what they're in for when the movie drops. And so far, that seems to be the case. Fan theories seem to pop up every few hours, with some being better than others, but it appears that we've yet to scratch the surface when it comes to the mighty Endgame. Kevin Smith and others have weighed in on some recent fan theories and some pretty big holes have been poked through them. Sadly, the latest footage from the movie doesn't offer much help. With Captain Marvel up next, it's hard to imagine that Marvel Studios will release any further promotional material for Avengers: Endgame until after Carol Danvers hits the big screen. This means that we're all in the Endgame for Phase 3 of the MCU, just like Doctor Strange said at the end of Infinity War. For now, fans just have to be patient when dealing with the stress of waiting for Avengers: Endgame. Thankfully, there's some new footage to put under the microscope and see which timeline we're all living in after the Mad Titan's Decimation of half of the universe. You can check out the latest footage from Avengers: Endgame below, thanks to Marvel.